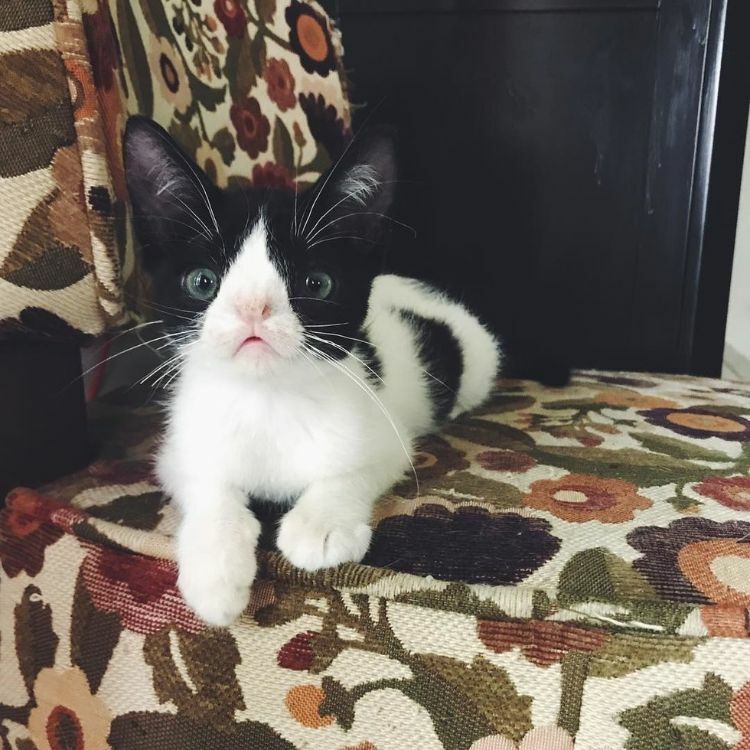 All kittens are born unique, but William has a special face. He has a congenital defect that has altered the bridge of his nose, giving his features a slightly smudged look. But it hasn't diminished this little kitten's big heart. William was taken to an overburdened shelter in the countryside near Gainesville, FL in May 2017, when he was only six weeks old. 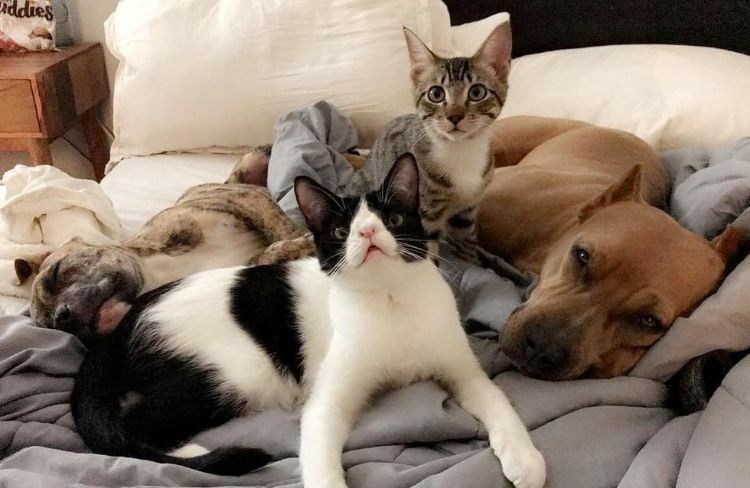 At first, his odds of being adopted seemed bleak, but then a veterinary student saw a post about him and decided to foster him in hopes of finding him a loving furever home. William came home to another cat and two dogs. 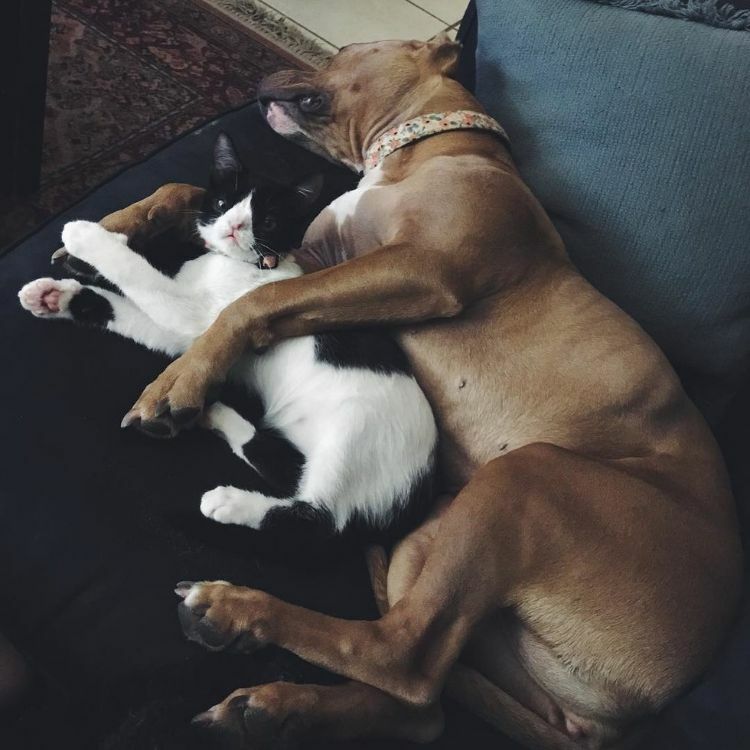 Pit bull Cora, who has fostered many other animals who have gone on to happy adoptions, took a special liking to William. 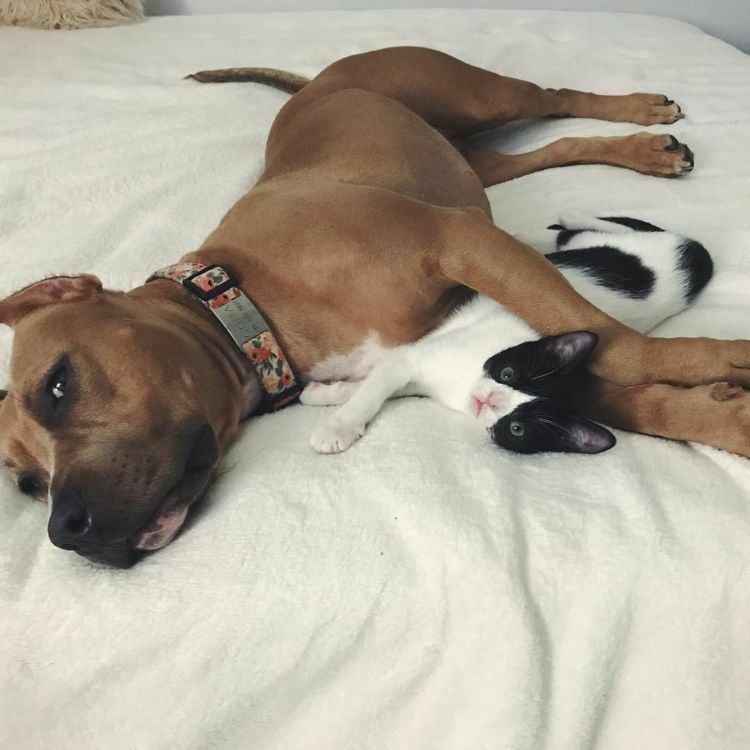 She took him right under her paw. 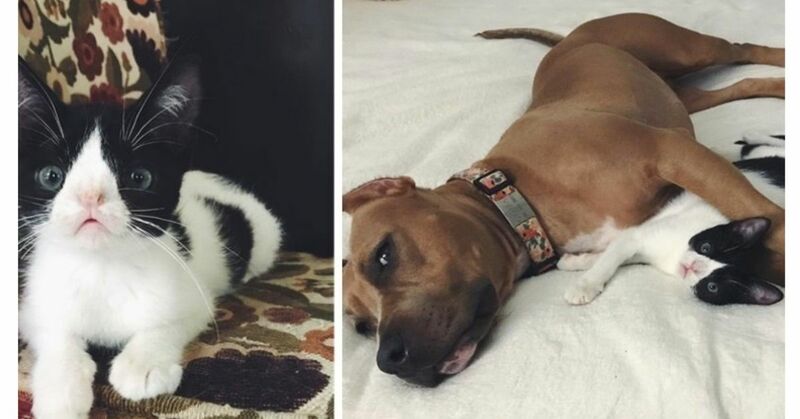 She had come from the same shelter. 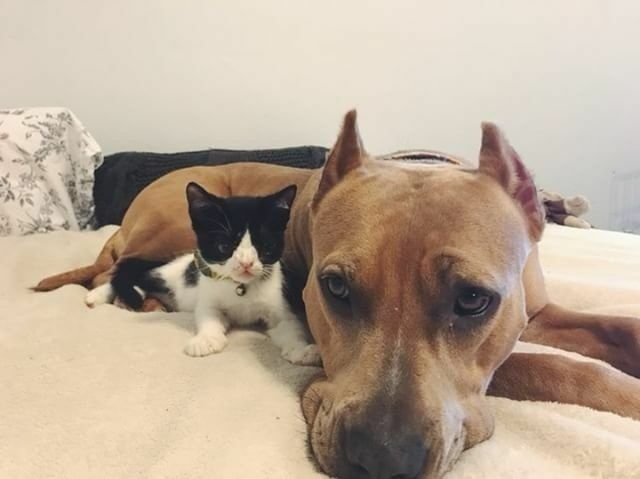 Because of their bond, William's foster mom decided to adopt him, too. Though shy and very dirty, Willliam was still young enough to be easily socialized. 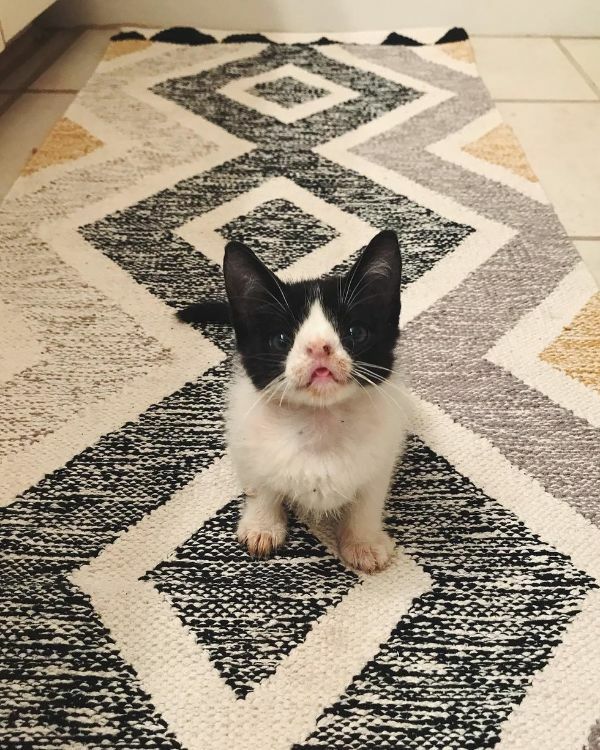 After a bath and some flea treatment, he quickly settled into his new household, where he has since grown into a healthy and happy black-and-white kitty. He is cheerful and sociable, fearless even with large dogs. William now helps foster other strays passing through on their way to their own furever homes. And he and Cora are still inseparable.